This book examines mechatronics and automatic control systems. The book covers important emerging topics in signal processing, control theory, sensors, mechanic manufacturing systems and automation. 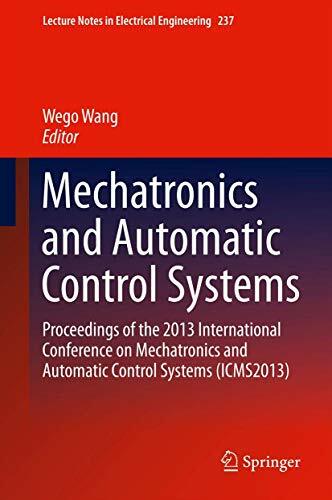 The book presents papers from the 2013 International Conference on Mechatronics and Automatic Control Systems in Hangzhou, held in China during August 10-11, 2013. Dr. Wego Wang is an aerospace engineer with the FAA and is also adjunct at University of Massachusetts Lowell.